Why Dentists, Physiotherapists and Nurses can make good Healthcare Managers? Why Digital Marketing Training is Essential for MBA Students? No matter whatever a person is up to in his life, at the professional front, nearly everything involves some sort of 'Business' in it. An effective management skill helps the individuals in the management roles to take the right decision for an organization in times of crisis and react proactively before suffering damage. In India, many B-Schools are training technically equipped young graduates with the elementary business knowledge to face the complex economic situation. The top corporate firms are confirming the high demand for business graduates from varied specializations by recruiting a good number of management students even before the completion of their courses from their respective institutions. Today, the successful completion of a business course guarantees the students with a wide range of career options, right from grabbing a managerial or executive level job to starting their own ventures upholding the leadership skills and analytical thinking learned from the course. Indian B-schools are adopting replicas of US business education, particularly in the area of pedagogy and curricula, giving equal inputs to create competent employees and enthusiast entrepreneurs. Owing to the high future prospects of the management courses, students having a knack for leading or managing an organization are inclining immensely towards the subject and spending a fortune on admission fees to get into prestigious B-schools that are promising to hand over the superlative education and placements. With increasing number of institutions, however, the reliability factor is also at the stake. Several B-Schools in the country generate graduates without any skills, instilling only theoretical learning followed by students facing the turmoil of unemployment. DC School of Management & Technology Konginipadavu, Kerala DC School of Management and Technology is a management institution with two campuses located in Thiruvananthapuram and Vagamon in Kerala, India. Department of Business Administration & Research, SSGCE Pune, Maharashtra Sinhgad Management Institutes (MBA/MCA) work at shaping next generation business leaders through world class education. FIIB New Delhi, Delhi FIIB is one of the top MBA colleges in Delhi offering two year full time MBA courses. FIIB ranks among top PGDM institutes in Delhi, India. IIHMR Bangalore Bengaluru, Karnataka IIHMR Bangalore is a premier Institute for Hospital Management, Public Health and Health Information Technology Management education, Research & Consultation activities, MDP trainings in South India. Indian Academy School of Management Studies Bengaluru, Karnataka Indian Academy is Best MBA Colleges in Bangalore. MIT School of Management Pune, Maharashtra MIT-SOM College offers a full time three year programme in Business Administration leading to a Bachelor's degree in Business Administration awarded by the University of Pune. Nehru Institute of Management Studies Thirumalayampalayam, Tamil Nadu NIMS - Nehru Institute of Management Studies is the tenth child under the parasol of "Nehru College of Educational and Charitable Trust" offering Two Year Full Time Master of Business Administration (MBA). Rajalakshmi School of Business Chembarambakkam, Tamil Nadu The college offers MBA, M.Phil., and Doctoral programs with various open elective subjects to prepare students to stand the dynamic business trends. REVA University:AN ELITE DESTINATION FOR IMPENDING EXECUTIVES Bengaluru, Karnataka Reva university is a private co-educational engineering college in Bangalore, Karnataka. It is a deemed university. Sakthi Institute of Information and Management Studies (SIIMS) Coimbatore, Tamil Nadu Sakthi Institute of information and Management Studies (SIIMS), was founded by Padmabhusan Arutchelvar Dr. N. Mahalingam, founder of SIIMS, with the dream of setting up a modern institution to impart management education of international standards for MBA aspirants. Shrimathi Devkunvar Nanalal Bhatt Vaishnav College Chennai, Tamil Nadu The college is reaccredited with 'A+' grade by NAAC in 3rd cycle held in December 2016. It delivers a high standard of education and discipline through committed staff that makes students wiser and stronger. SNES Institute of Management Studies and Research Kozhikode, Kerala SNES IMSAR endeavors to offer students a judicious blend of theory and practice, to deliver superior quality management education. St. Francis Institute of Management & Research Mumbai, Maharashtra The college is popularly known as SFIMAR. The college is rated as 'A' grade college by National Assessment and Accreditation Council. Symbiosis Institute of Operations Management Nashik, Maharashtra SIOM is India's only Institute dedicated to Operations Management, constituted with a vision of Empowering and Leading Operations Excellence. Symbiosis School of Banking and Finance Pune, Maharashtra Symbiosis School of Banking & Finance was established to address the growing demand for trained workforce in the Banking and Financial Services Sector. Thadomal Shahani Centre for Management Mumbai, Maharashtra Thadomal Shahani Centre for Management is a part of The Shahani Group of Institutions. 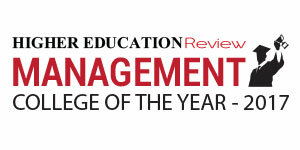 We are the only B-school to in Mumbai to bring the best of international management education to India. Vivekananda Institute of Management Studies Bengaluru, Karnataka Vivekananda Institute of Management Studies is one of the best Management institute in bengaluru.